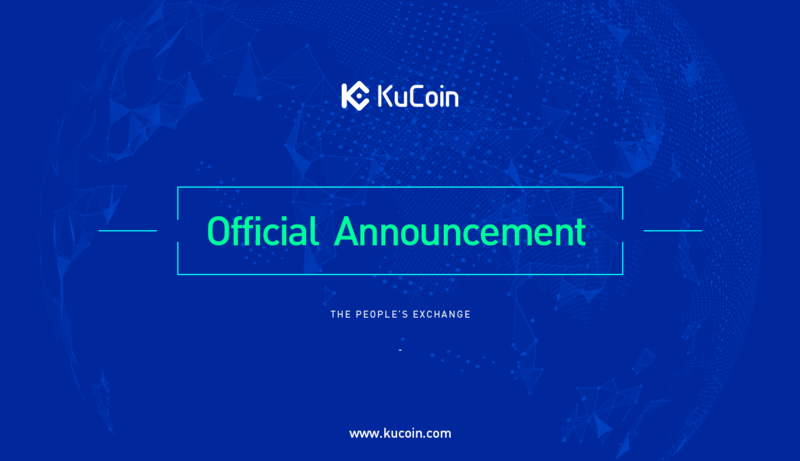 On April 12, 2019, from 14:00 to 15:00 (UTC+8), KuCoin will be performing system maintenance for some trading pairs. The maintenance process is expected to last around 1 hour. During the maintenance, there will be lag of up to 2 minutes in the matchmaking of the trading pairs involved below. Other functions are not affected.